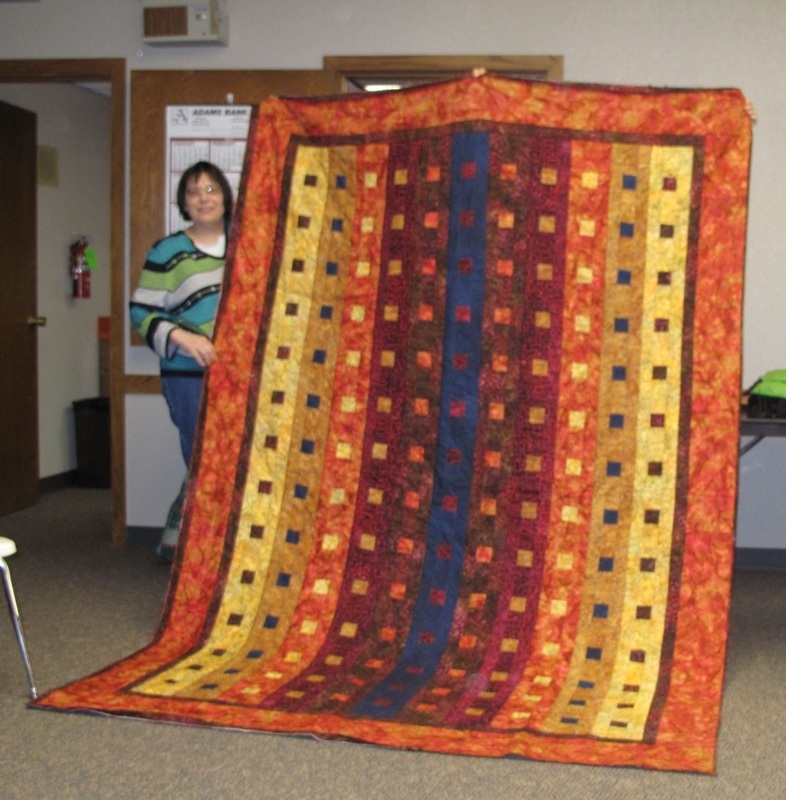 Some members created this project. Photos follow below. 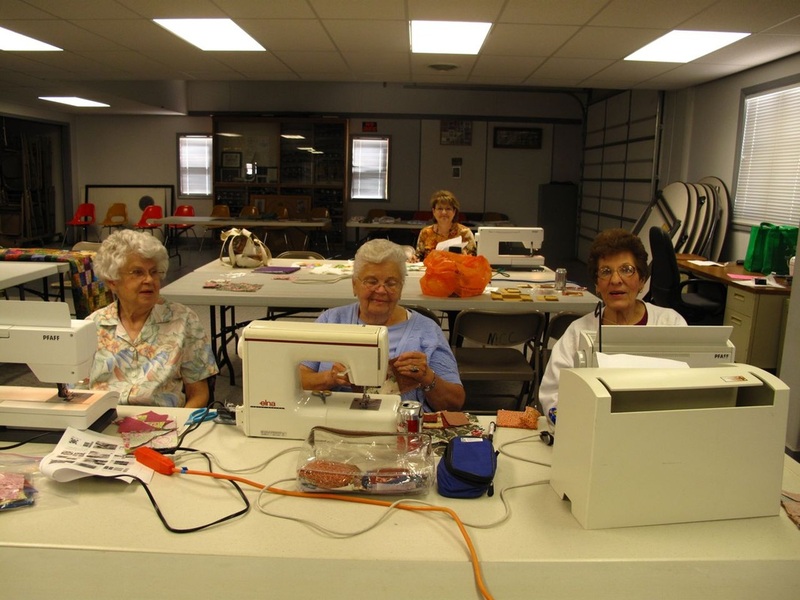 Betty and Mitzi were busy at working on their projects. 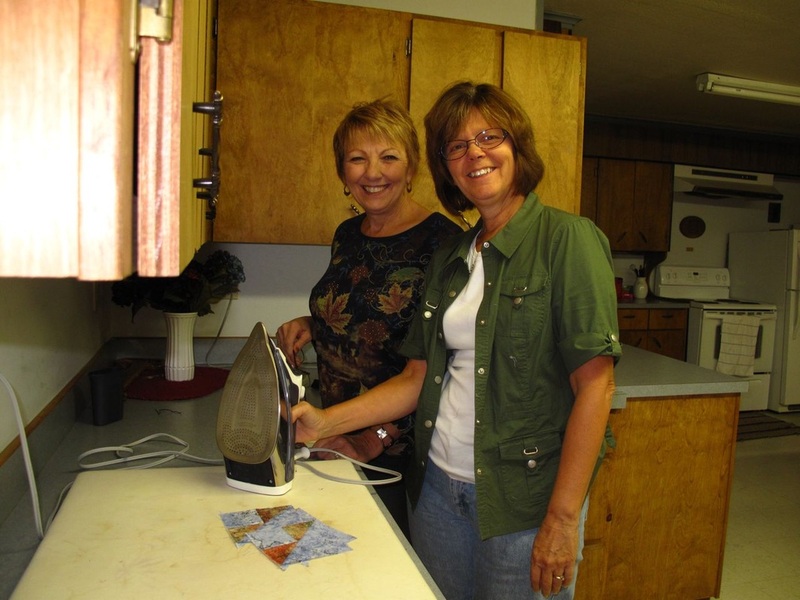 Loretta and Darlene having a great time!! 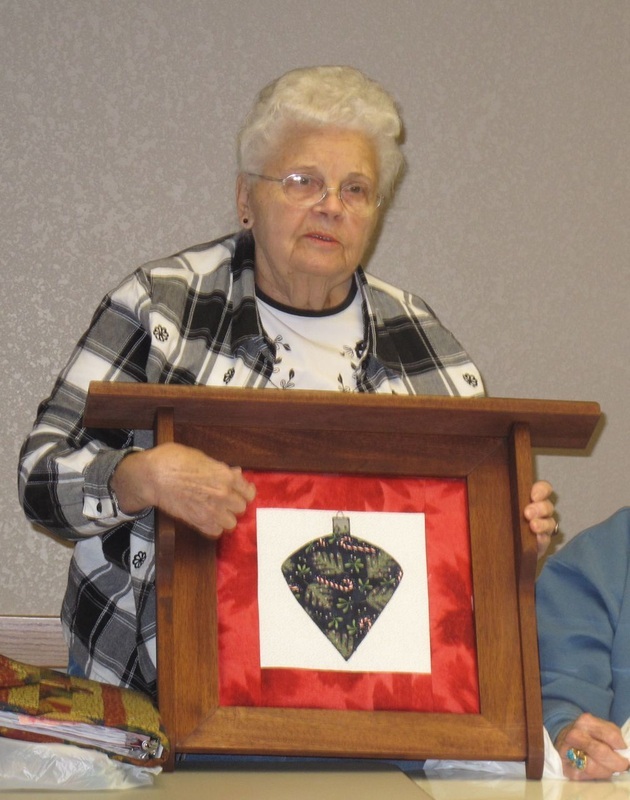 Members wishing to participate in the ornament exchange brought as many "ornaments" as they wished to exchange. 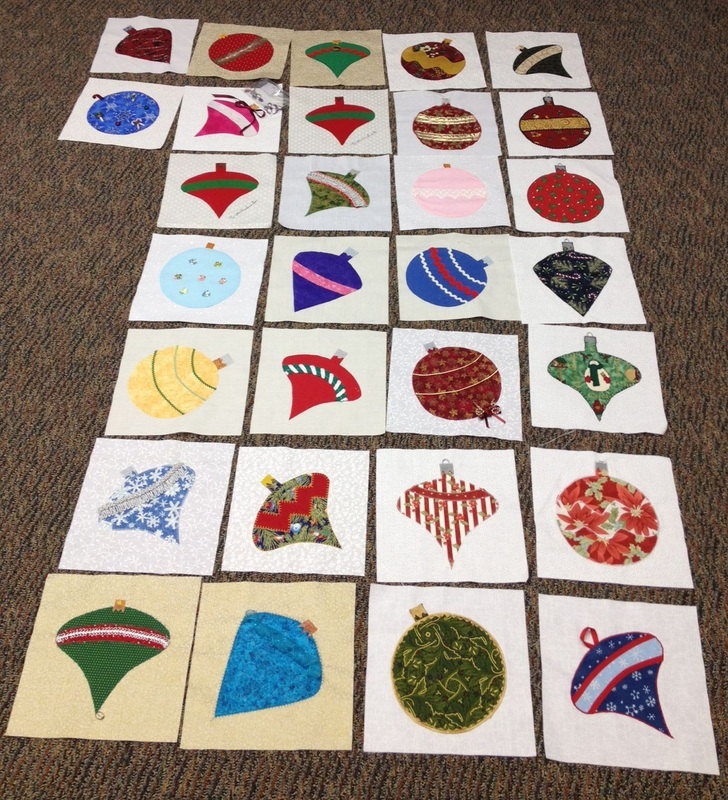 It will be exciting to see what projects emerge from these delightful ornaments. 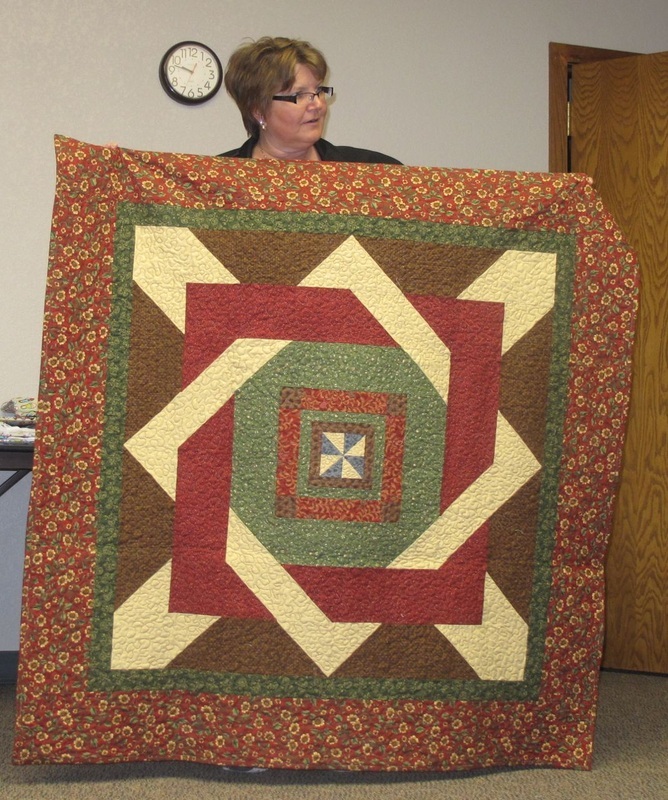 The Quilted Leaf Quilt Guild was asked to make a quilt for a raffle to help defray costs of the 125th anniversary celebration. 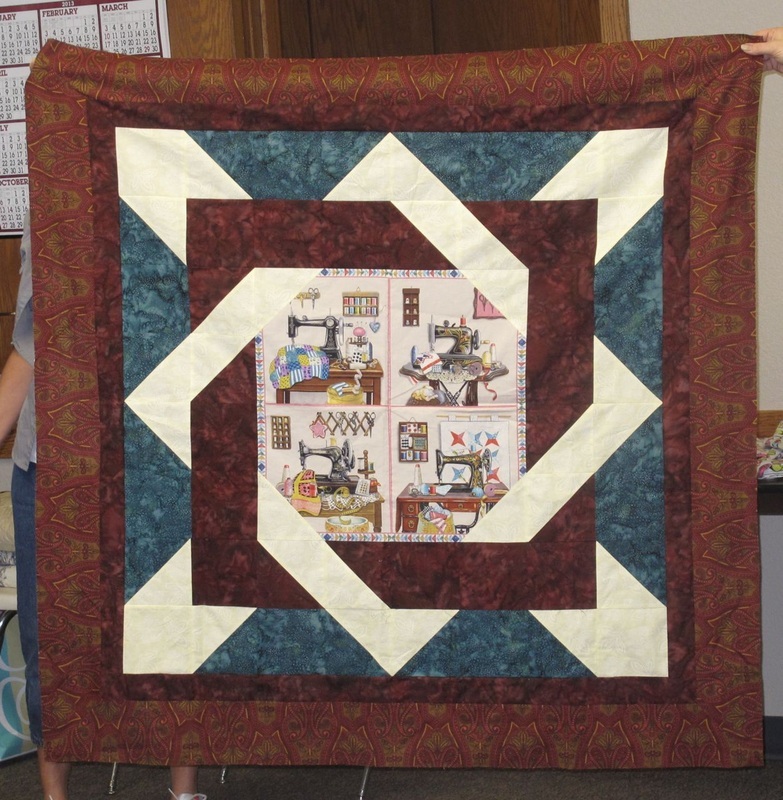 The block chosen was the spool pattern. 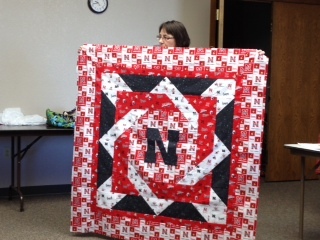 The photo at the left is the completed quilt that will be raffled off. 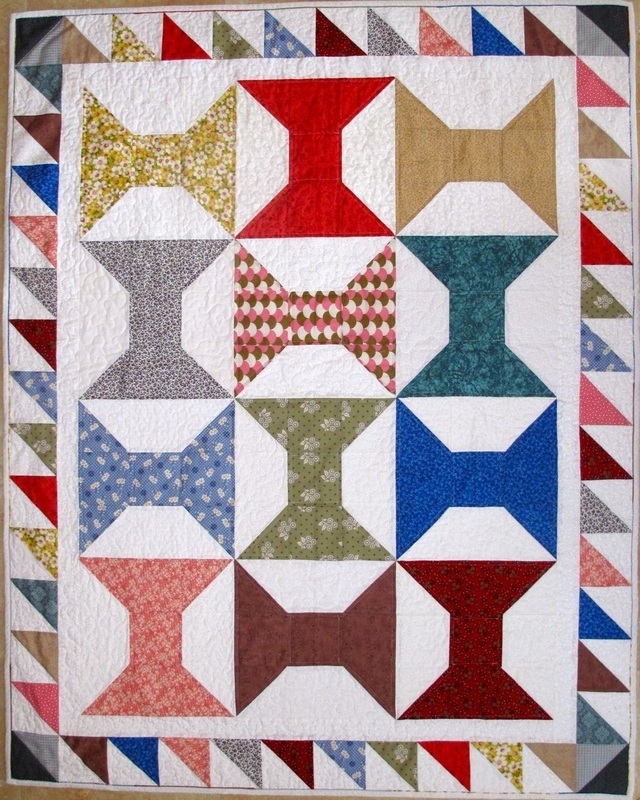 A sample of the spool block for the anniversary quilt. 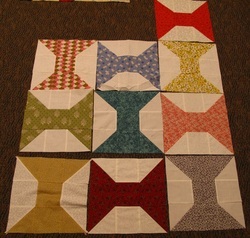 There will be twenty completed blocks for the project. 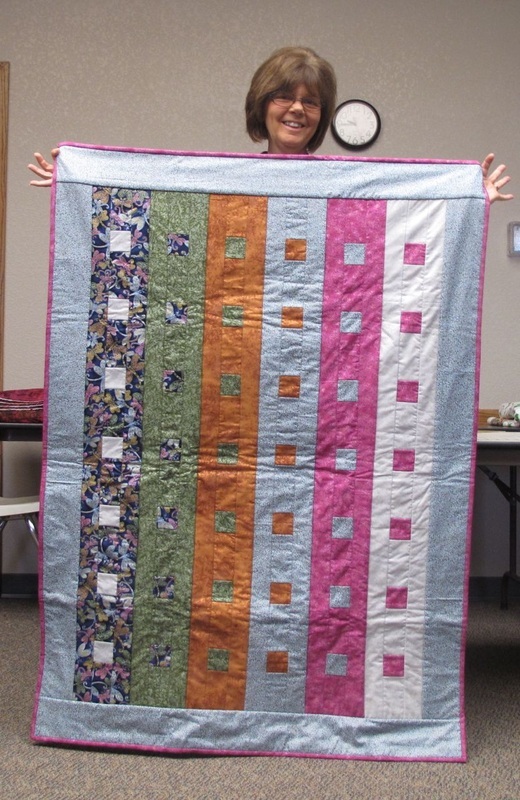 Sixteen ladies quilted on their Floral Bouquet quilts. 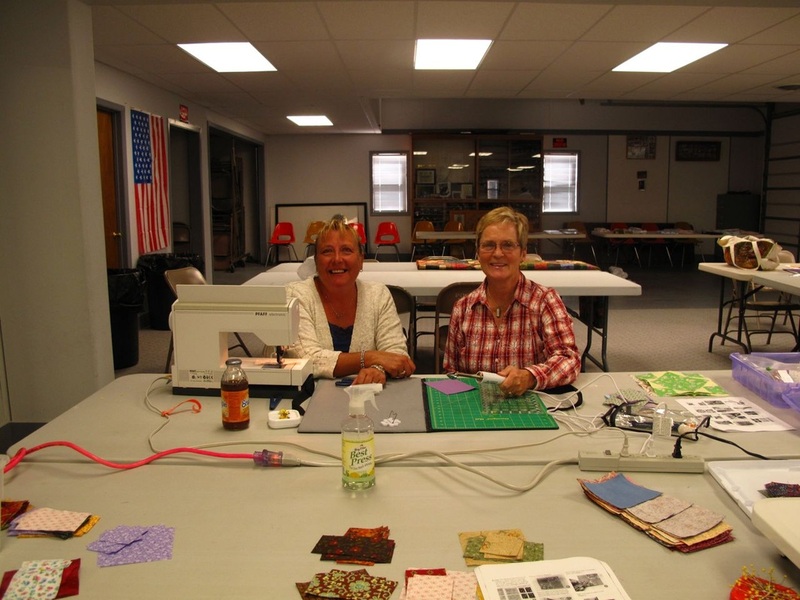 What a variety of fabrics were used! 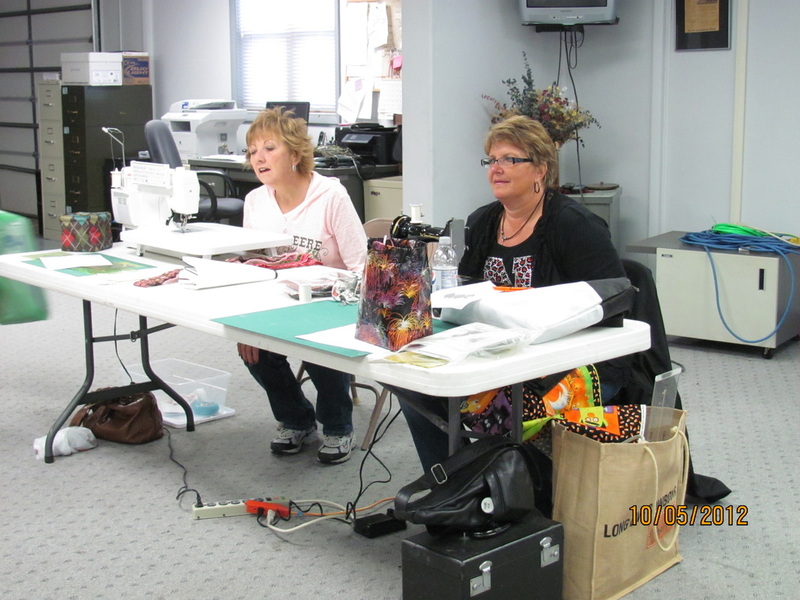 Pennie Reese and Brenda Bloemke share some sister time while quilting together at quilt guild. 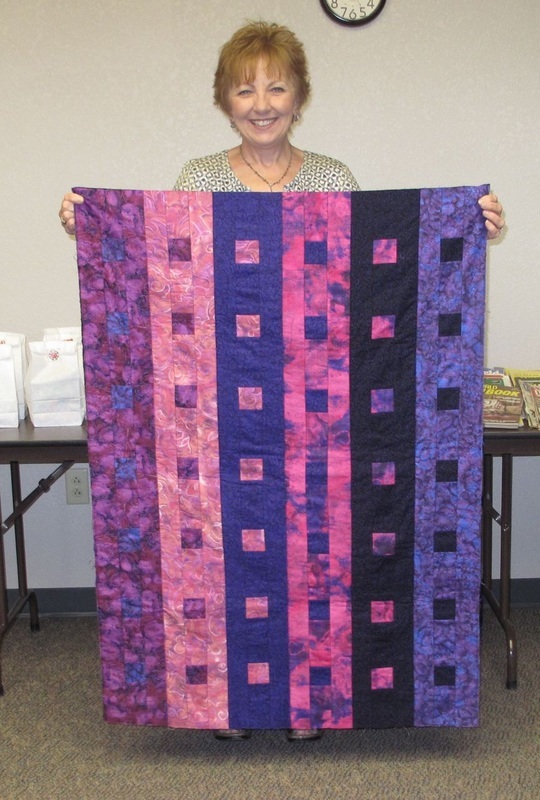 Their quilting styles are very different but they both make beautiful quilts. About her son who'd been sent to Iraq far away. Its mission is about people and the service they render. 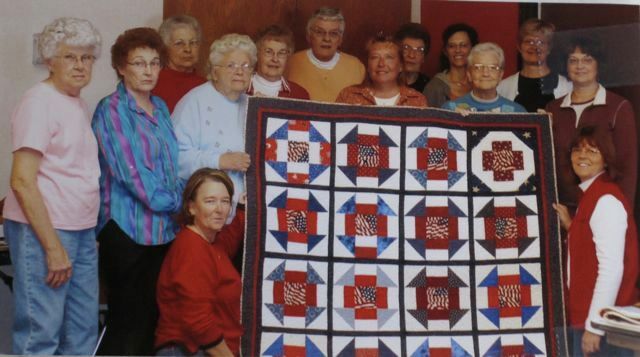 Making and sending quilts to veterans that they have lovingly sewn. 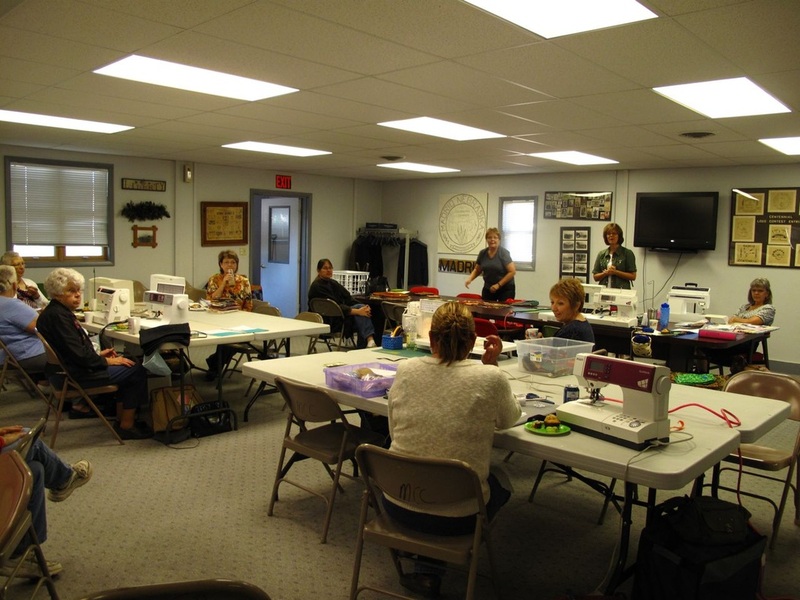 All were excited, glad and anxious to help a lot! These were done by October without being asked! 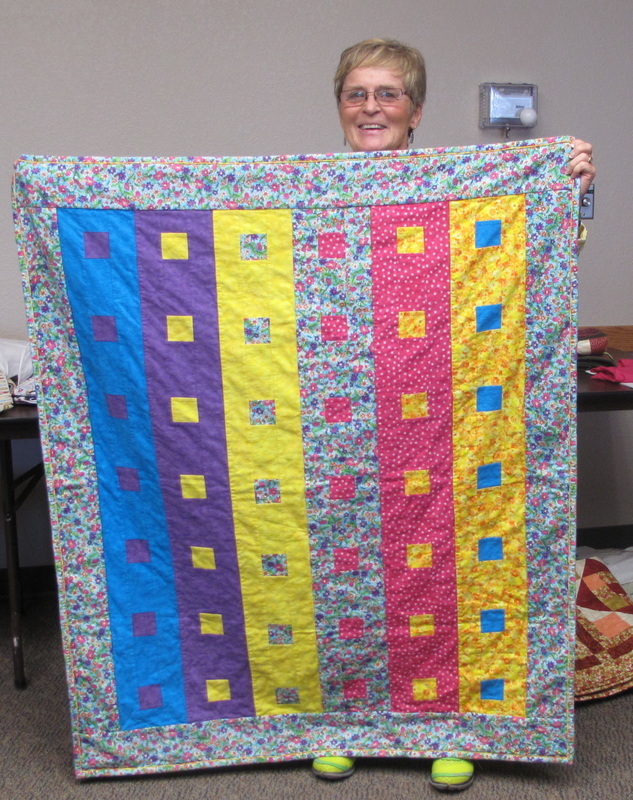 In November our QOV members had it quilted and bound, which helped a lot! 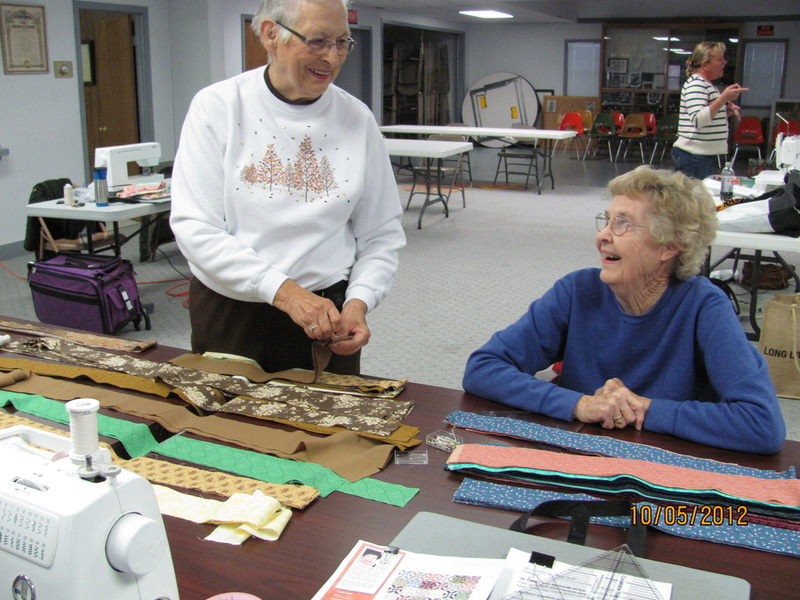 Busy hands and warm hearts, there was nothing to lack! "Hole in the Barn Door" or sometimes called "Monkey Wrench"
Is the name for the blocks - that's not written French! For your bravery and courage to protect our Red, White and Blue. Twice a year our guild makes a group project. 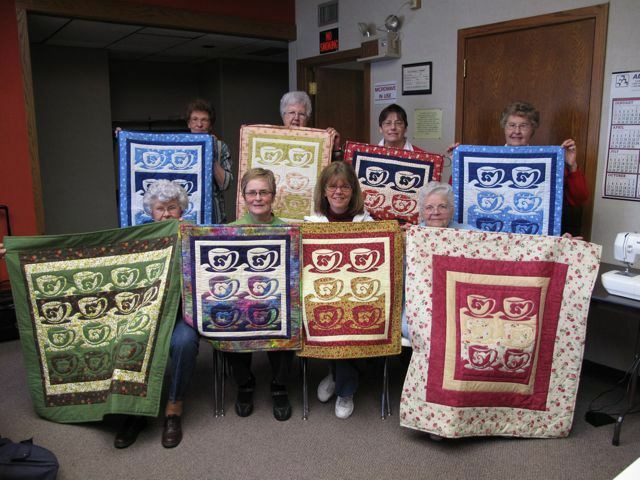 Participation is optional and each quilter goes home with at least part of a project done. 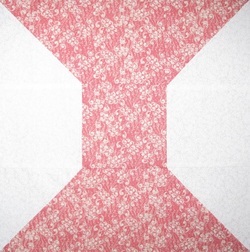 Our latest project was a one-liner project - making "Tea Time. 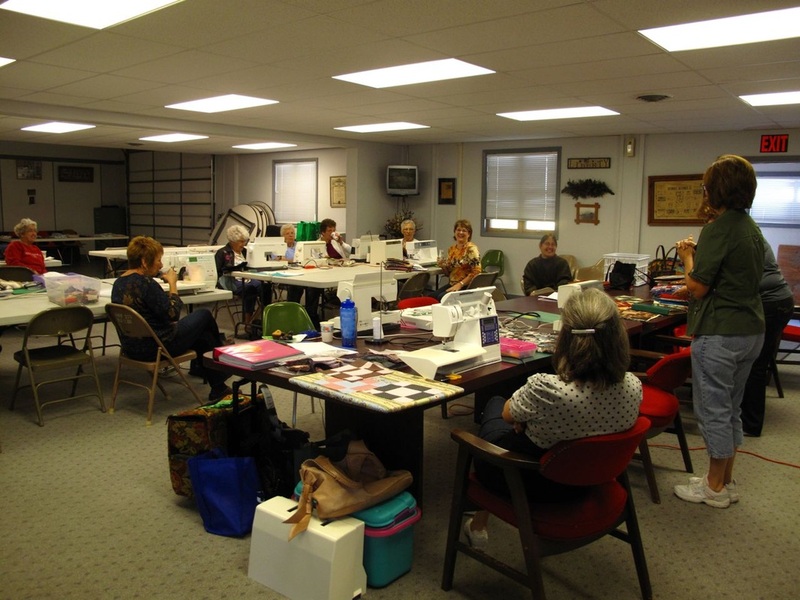 The photo below shows the participants. 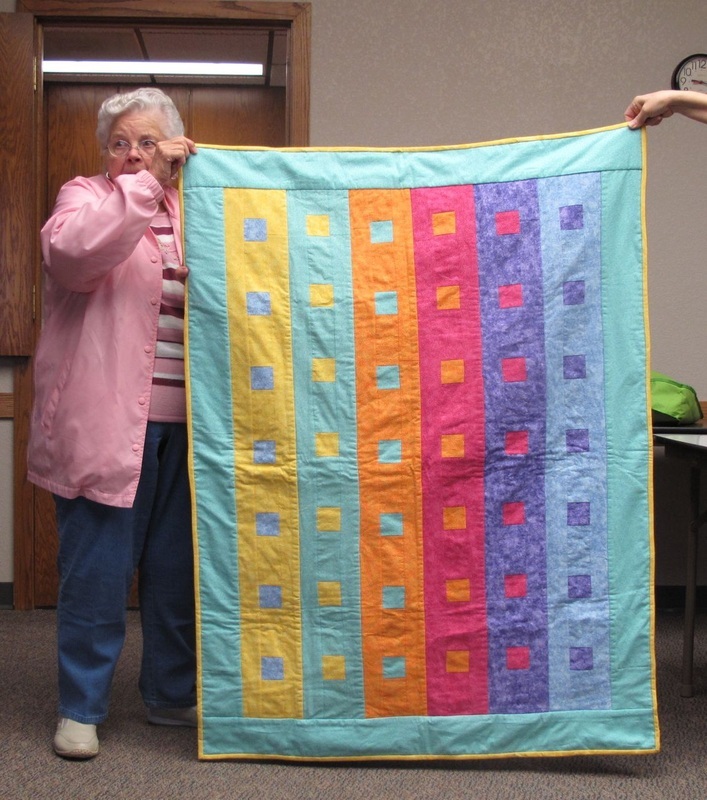 These quilts are featured at the Meadowlark Gallery during October and in an upcoming feature in "Nebraska Life" magazine.